Product #5873 | SKU P2 | 0.0 (no ratings yet) Thanks for your rating! 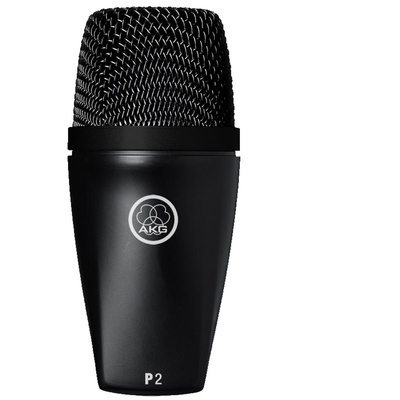 The AKG P2 Dynamic Bass Instrument Microphone is an ideal solution for capturing bass, kick drums, bass cabinets and other low-frequency instruments on stage or in the recording studio. Its exceptional low frequency response and cardioid polar pattern features extended low range, detail and minimal signal at the off-axis sections of the capsule. High sound pressure handling maximises gain without noise and distortion. The P2 features rugged construction with an integrated stand adapter.